March to the Top is Awarded The Ludwick Family Foundation 2018 Grant! Founded in 1990 by Arthur and Sarah Ludwick, the Ludwick Family Foundation is a philanthropic organization committed to assisting a broad array of groups that are working to make a positive difference in the world. March to the Top is honored to be chosen as a 2018 grant recipient of this prestigious organization. Their generous contribution will directly impact our ability to increase program efficacy and sustainability at the New Hope – AINA children’s home. In partnership with AINA Onlus, New Hope – AINA serves as an orphanage, primary school, and clinic for over 100 HIV+ children and their wider community in Meru County, Kenya. Since establishing the center in 2008, March to the Top has been integral to New Hope – AINA’s success by providing funding, financial guidance, and strategic planning. We are thrilled to have The Ludwick Family Foundation’s support as we continue to evolve New Hope – AINA in order to better serve those who need it most. Grant funds will specifically be used to improve agricultural capacity, outdoor play spaces, extracurricular activities, library resources, and additional material necessities for the children. We look forward to updating you as we begin implementing these improvements over the next 12 months. 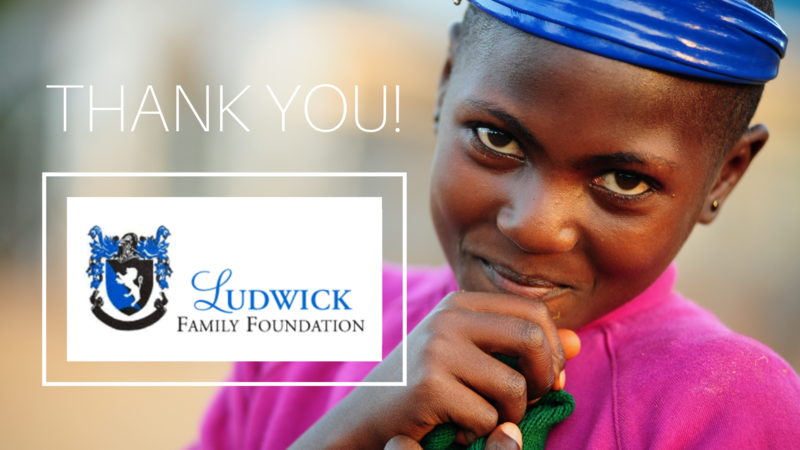 We are humbled by the Ludwick Family Foundation’s commitment to serving others. Their contribution will make a long-lasting impact! Christmas Time at New Hope – AINA! The Kids at New Hope – AINA Named Two Elephants!